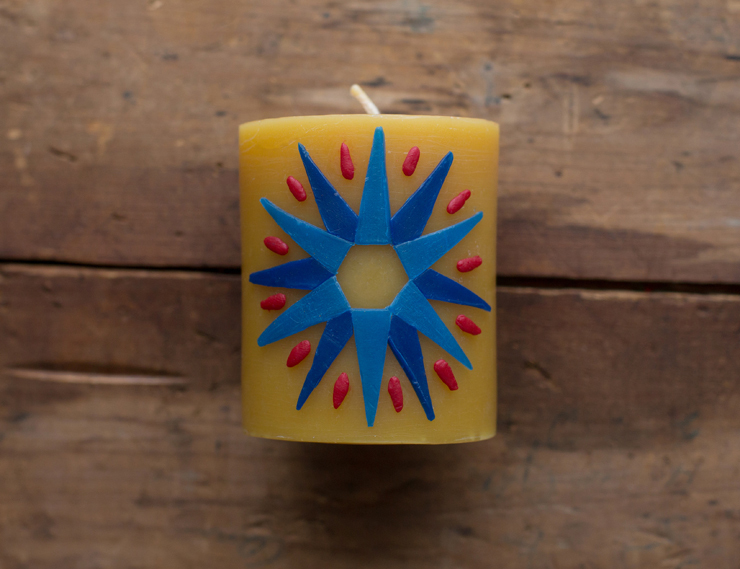 With a Round Beeswax Pillar Candle and some Decorating Wax, you can create a lovely candle for your seasonal table or mantle. 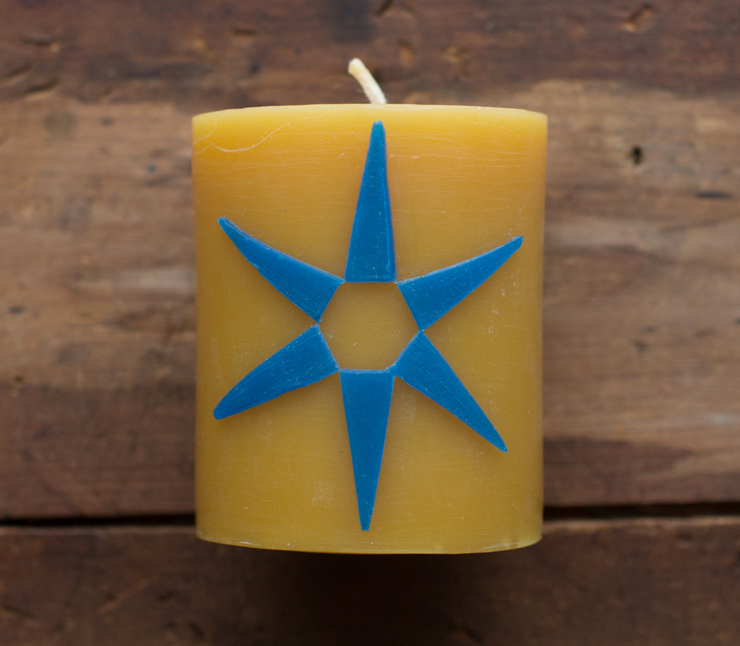 Below are instructions on how to make a 12-pointed blue star. 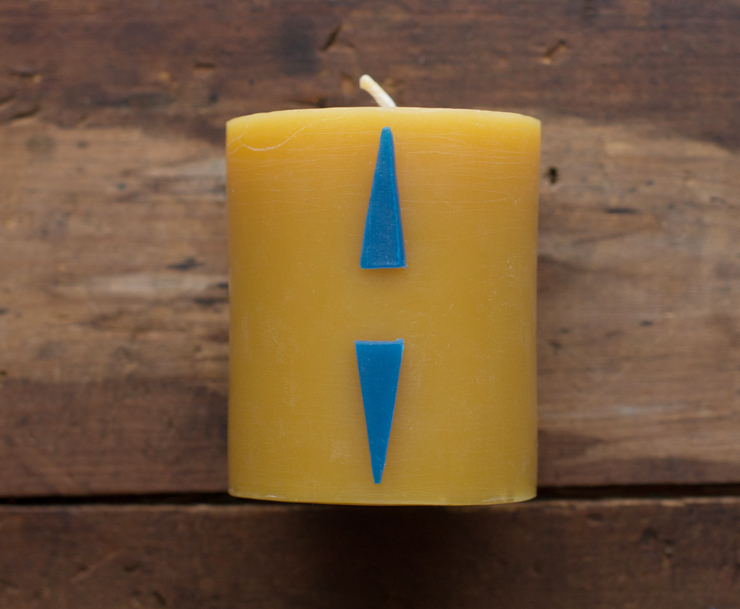 You’ll need a sharp knife or an x-acto to cut the wax. 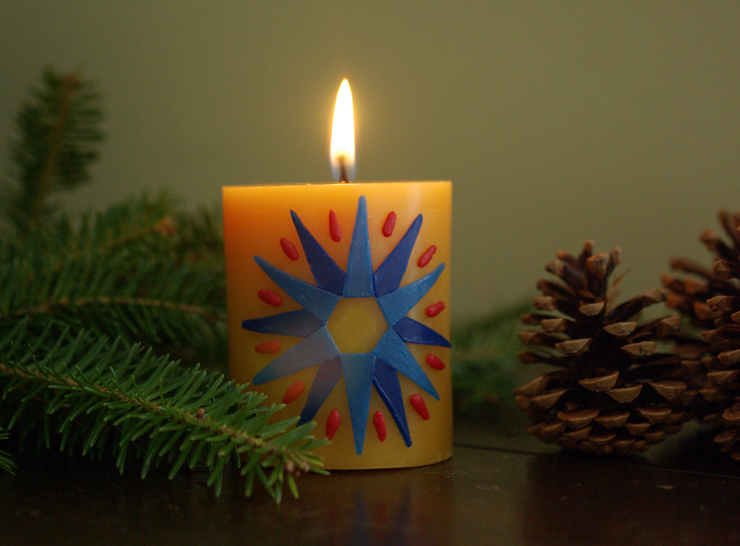 Note: for younger children, you might try Pattern Cutters for candle decorating: children enjoy the ease and satisfaction of using pattern cutters to stamp out simple shapes, and you won’t have to worry about them cutting themselves. 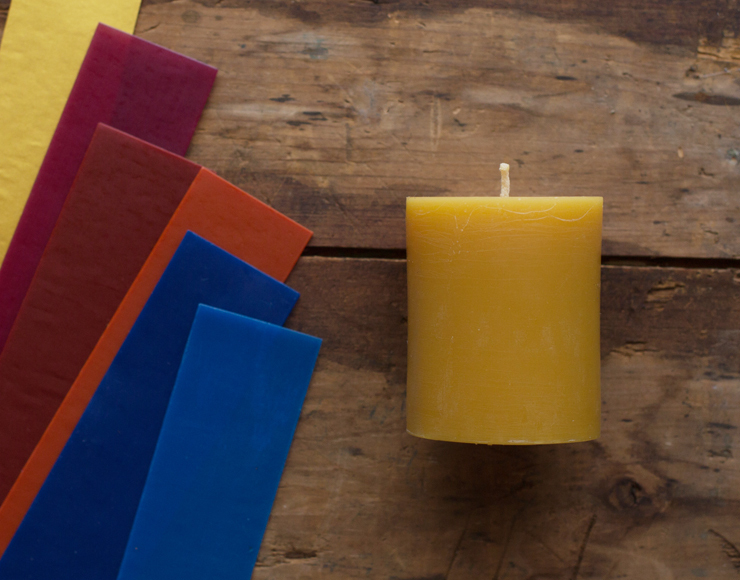 First, gather several strips of Decorating Wax in the colors you’d like to use, and select your candle. 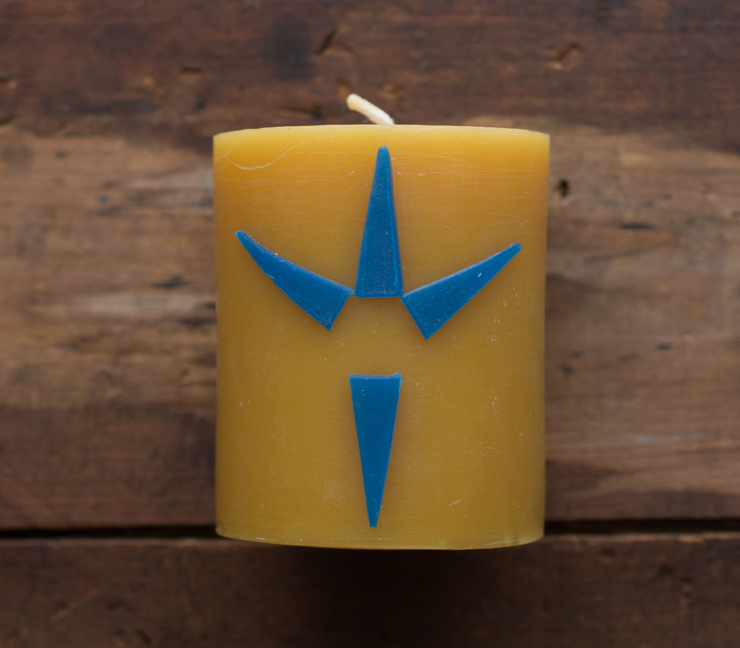 The beeswax candle might be covered with a dusty white coating, called bloom, which is a sign of pure beeswax. 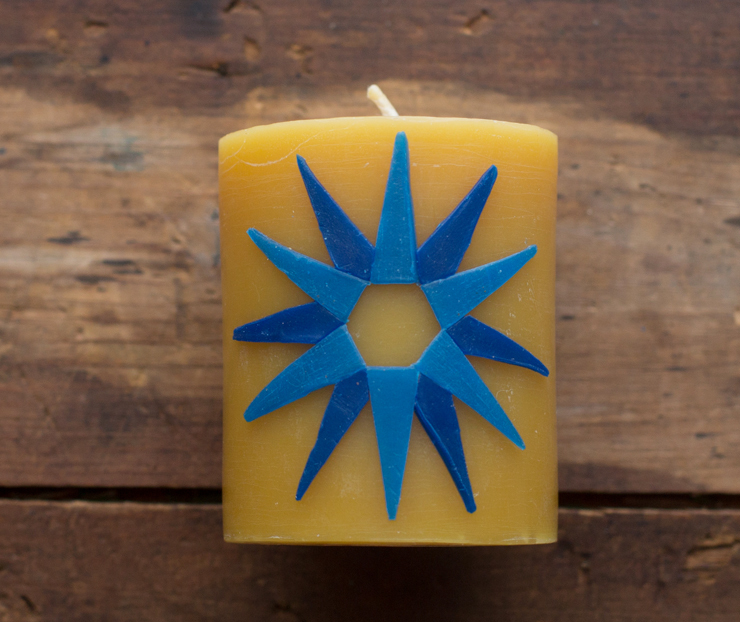 If you rub the candle for a bit with your fingers or a soft cloth, the bloom will disappear, leaving a smooth wax surface ready for embellishment. 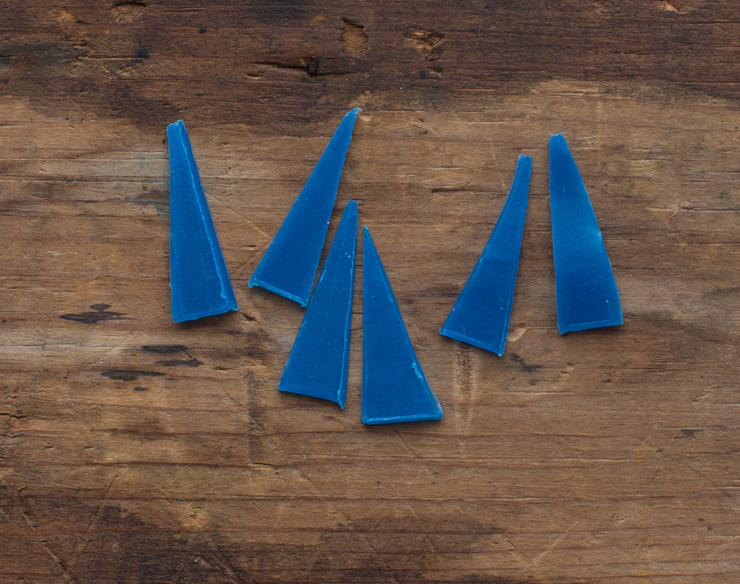 Measure off an inch of blue wax from the strip, score it with a knife, and break it off. Do this again so you have two pieces. 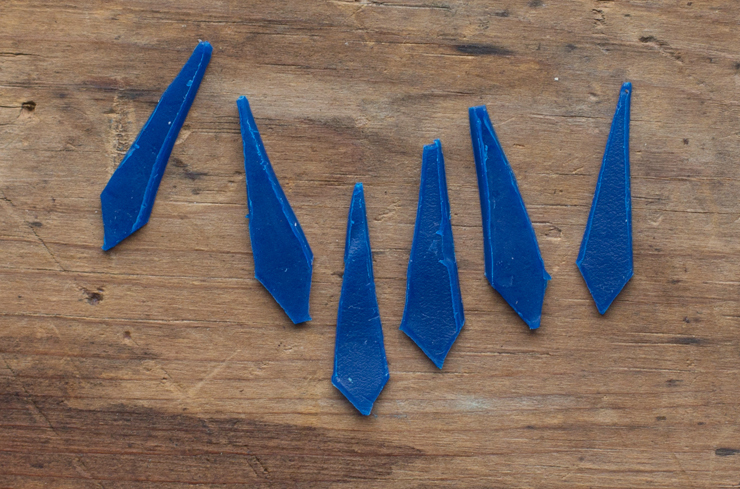 Cut three points from each piece of wax, using your knife or x-acto. You can use the first point as a template for the others, or simply use your eye as a guide. Take two points and hold them between your thumb and forefinger for a minute to warm them up slightly. Press them onto the candle as shown above. They should stick easily; if not, warm them a bit more and press them on again, firmly. Add the next two points, adjacent to the top point. Finish your six-pointed star by adding the last two points. You should see a hexagon in the middle of the candle. 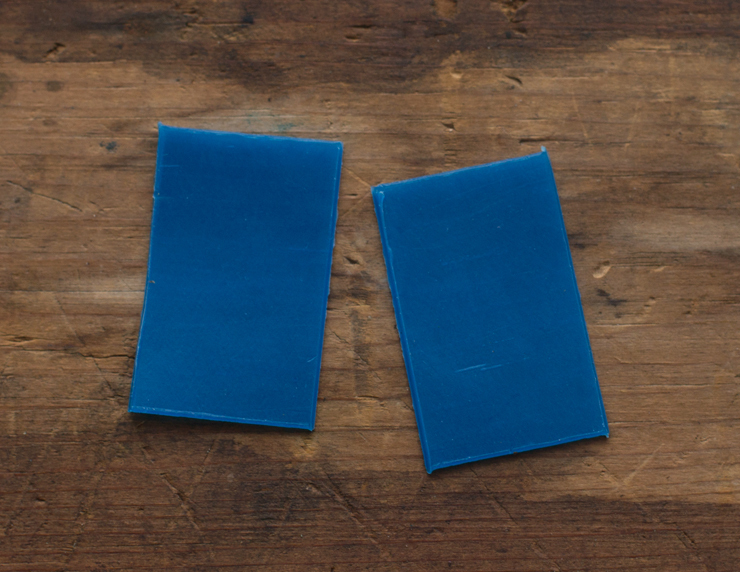 Repeat the process with dark blue wax. This time, though, cut the short side of each point into a point as well. They’ll look a bit like men’s neckties when you’re done. Press these points onto the candle between the original six points. Take a small piece of red wax and warm it for a minute in your hand. Breaking off tiny pieces, shape them into little rays and press them between each point of the star. Your candle is done! See our Christmas Craft Book for more candle decorating designs and instructions on dipping your own candles.